Summer is almost here. From vacations to lazy days by the pool, the summer is about fun. What way to make the summer more fun than to show off your new Apple Watch. Didn't get one at the store - don't worry. I'm giving one away. Yes we are giving away the most sought after and wished for gadget this season. 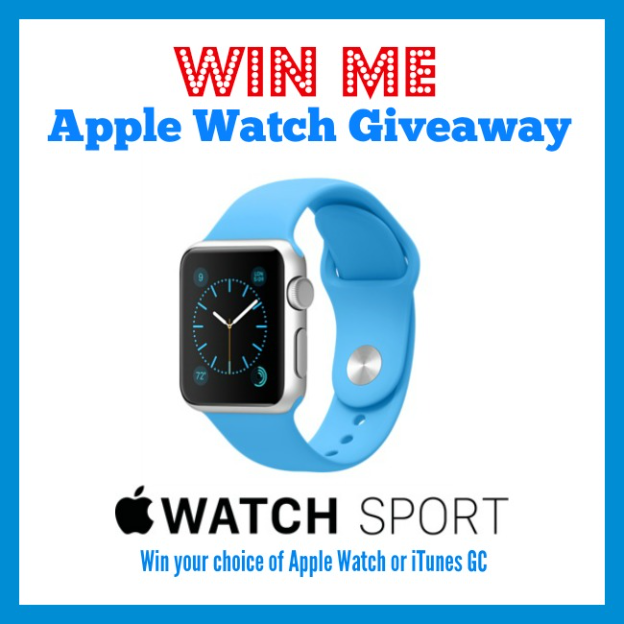 One lucky reader will win an Apple Watch! The perfect companion to iPhone, this smartwatch incorporates fitness tracking, health-oriented capabilities as well as integration with iOS, Apple products and services. Together with my blogger friends we're giving you a chance to win 38mm Silver Aluminum Case with White Sport Band which retails for $349. You also have the option to choose your prize, the Apple Watch or it's equivalent amount in iTunes gift card. Join our Apple Watch Giveaway now! Giveaway is open to US only and runs May 7th and ends on May 29th at 11:59pm EST.